Ben 10 is the protagonist of a famous series of cartoons and also the game that we bring you. 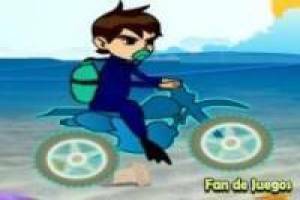 On this occasion, our spy friend has to carry out an aquatic mission and to get to your destination you will have to use a dirt bike very carefully. You are under water and to breathe you need a cylinder of oxygen. That means that you can not fall because if you hit, it will break and you will be lost. If you manage to reach the finish line without overturning you will have finished the level successfully, otherwise you will have to start over from the beginning. Help Ben 10 to complete the entire course in his motocross to reach his destination and face the enemies that await him. 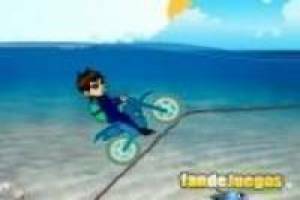 Enjoy the game Ben 10 motocross under the sea, it's free, it's one of our ben 10 games we've selected.